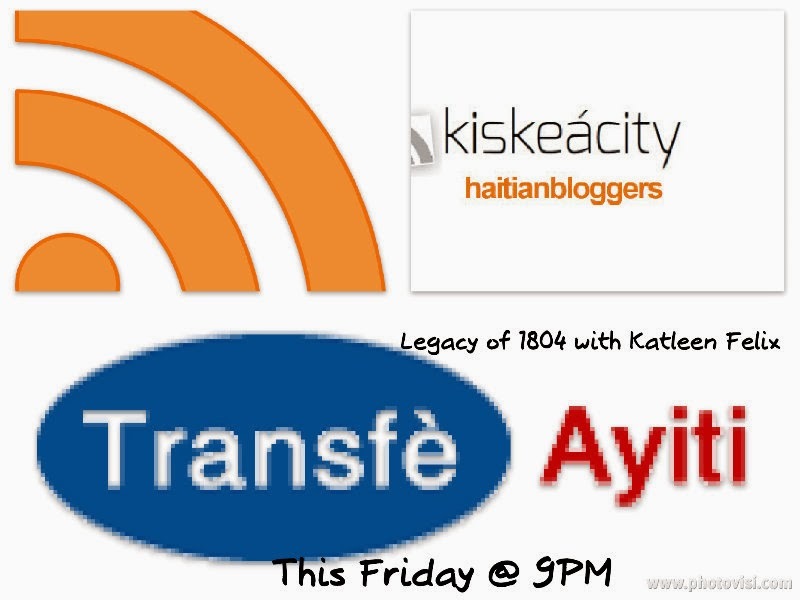 Join me this Friday at 9 PM as I welcome Katleen Felix to discuss www.transfeayiti.org, a website that compares money transfer rates to Haiti. Katleen Felix has been the Haitian Diaspora Liaison for Fonkoze (www.fonkoze.org) for the past 6 years, where she was responsible of research and development of new remittance products or initiatives, financial literacy programs for new immigrants, training and capacity-building for Haitian Hometown Associations (HHTAs), project reporting and donor relations. Her most recent project is the launch of Zafen (www.zafen.org ) a new crowd funding website for small-and medium-sized businesses (SMEs) and social enterprises in Haiti. Listen Online http://www.blogtalkradio.com/blackwholeradio/2014/02/01/legacy-of-1804-with-katleen-felix-haiti-transfeayiti or on the phone at (323) 927-2913. We were also joined by Jessica Mitchell, emerging artist whose work can be found at moonlightandmangos.com.